A domestic flight with 58 people onboard crashed into a river in Taipei, Taiwan on Wednesday, February 4, 2015 with 17 people rescued and dozens trapped inside, according to news reports. 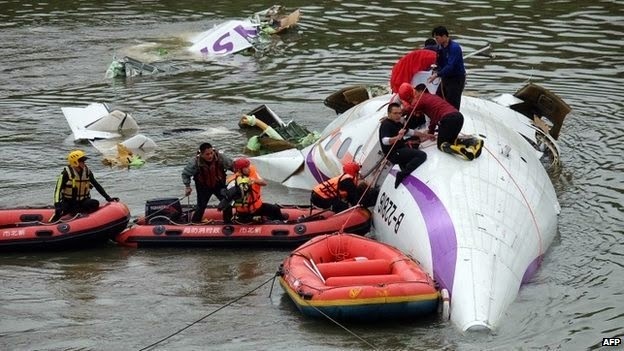 TransAsia plane was on a domestic flight when it hit a road bridge before ploughing into the river. Reports said that TransAsia ATR 72-600 airplane hit a road bridge before plunging into Keelung River. Rescuers were trying to reach the trapped passengers. Television images showed rescuers standing on large sections of broken wreckage trying to pull passengers out of the plane with ropes. Those who were rescued including two children were put in dinghies and taken to the shore. The accident happened just before 11:00 am (0300 GMT), a few minutes after the plane took off from Taipei's Songshan airport en route to the island of Kinmen. 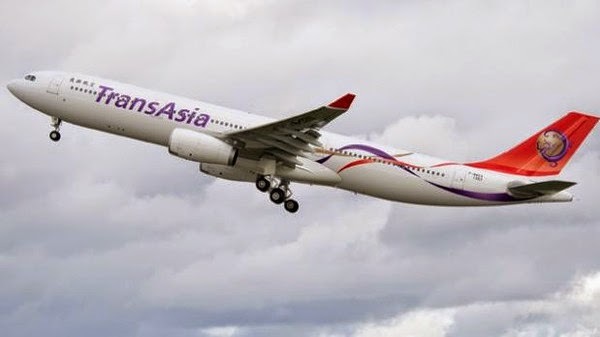 In July last year 48 people died when a TransAsia Airways plane crashed amid stormy weather in Taiwan's Penghu archipelago. Reports and images courtesy of AP.